Three years ago Issy Jones walked away from her dream because her family needed her. Today, she spends her days working in her mum's salon and her nights going out with her best friend, Molly. Life is good yet Issy can't help wishing for something more. When Issy's dad puts her forward for a sensational new reality TV show, no one expects her to actually be selected. With her family urging her to grab the opportunity with both hands, Issy suddenly finds herself surrounded by glamour, fame and celebrities. Full of excitement, Issy embraces it all - it's what she needs to do to achieve her goals. But when the reality of what she's signed up for doesn't match the dream Issy is chasing, things begin to fall apart. Issy is so close to getting everything she ever wanted - but just how much of herself will she have to sacrifice to get it? 5 Words: Fame, reality, family, betrayal, hairdressing. When I picked this up I was honestly expecting something pants like Angel, poorly written and with an overused plot. But what I actually read? Well, my expectations were blown away. 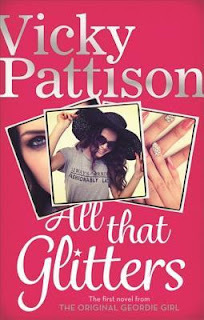 All That Glitters has an original plot line, certainly nothing like I've ever read before. It's dry and witty and will tug on your heartstrings. You'll probably rage a little at Jason, sympathise with Molly, and want to knock Issy's head into a brick wall and tell her to be less self obsessed and open her eyes. Because I did. I loved how this book explored family dynamics, the relationships between the people who make up a family and that sometimes they're not all related to you. The ending was a definite high point, so much had been sacrificed and it all just sat perfectly with the rest of the story. Overall this was a great read. Definitely one I'd say to give a chance. 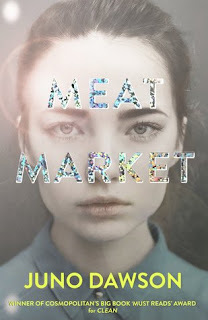 I was reminded a little of those romantic sagas by people like Annie Groves and Katie Flynn but dragged kicking and screaming into the 21st century.